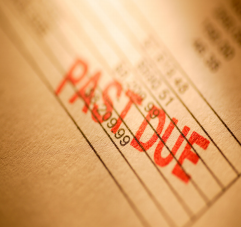 ECDPMGreat Insights magazineWhat Comes After Debt Relief? 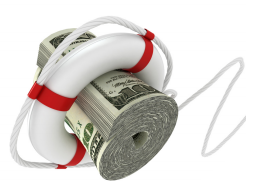 With major debt relief initiatives (HIPC (1) , MDRI (2) ) winding down, what comes next? How can we evaluate the success of these efforts which took decades? Has there been any lasting impact? Are there lessons for what might come next? These are important questions, often overlooked, when addressing the challenges related to debt relief, now and in the future. 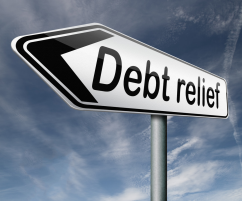 In this article, we explored the “so what” dimension of the topic: (1) Does anything really change after a debt relief? (2) Does debt relief have effect on governance, macro-economic and development policy? and (3) Is debt relief an efficient development tool? Before trying to answer these questions, we should discuss where we are starting from: what has debt relief accomplished to date? From the standpoint of the original objectives, debt relief initiatives have clearly provided HIPCs with the opportunity for a fresh start. Debt relief has been substantial, debt sustainability has been advanced, and fiscal space created. We are all familiar with the broad scope of the outcome: the HIPC and MDRI initiatives have together decreased the external debt stock of 36 post-decision point countries by more than 90 percent, or by approximately one-third of their 2011 GDP. Although causality is hard to establish, lower debt service has been accompanied by an increase in poverty-reducing health, infrastructure, and education expenditures, which increased on average from 6.2 to 9.6 percent of GDP from 2001-2011. Moreover, none of the post-completion point HIPCs are in a debt distress situation. In sum, there is strong evidence that the HIPC and MDRI initiatives have successfully delivered substantial debt relief to the target countries, improved their macro fundamentals, and supported greater spending on development-related activities. So if perhaps, as suggested by the title of a conference on this topic co-hosted by the Dutch and Belgian governments in Brussels on 26 September 2012, “the slate is clean” (3) , we must turn to questions regarding the broader impact and implications, at both the country and global levels. First, are these debt reductions sustainable, and is the impact on recipient countries “catalytic”? Second, are broad multilateral debt initiatives an efficient global means to promote development? Looking first at the impact on countries in terms of sustainability and policy impact, the evidence is mixed. While none of the post-completion point HIPCs are currently in debt distress, one-fifth of this group (7 countries) is currently seen (using June 2012 prices) at high risk of debt distress. While this in part represents the use of different “measuring sticks” between HIPC and the current debt sustainability framework benchmarks, it also reflects the impact of substantial borrowing. For eight African countries, it took just 4 years to raise public debt to GDP levels one-third of the way back to pre-relief starting points. To some extent this expanded borrowing may represent good news, as stronger macro fundamentals facilitate access to global financial markets and “new sources of finance” (both in the form of bond issuance and bilateral lending), it nonetheless points to concerns over the implications of a return to pre-relief debt levels, particularly if the new borrowing does not translate into productive investment and faster growth. What about the broader “catalytic” effect on policies and programs? As already noted, provision of debt relief is associated with a 3 percentage point rise in “poverty-reducing” spending, although causation is hard to establish, especially since the global emphasis on achieving MDG targets led to targeted spending increases across all developing countries. In terms of the policy environment, HIPC countries (on their part) have been working both before and after the provision of debt relief to address the underlying factors that led to unsustainable debt levels – improving their macroeconomic policies, addressing governance issues, strengthening capacity and institutions. This work has been vigorously supported through engagement with the international community, including reliance on the joint Bank-Fund Debt Sustainability Framework and a strong emphasis on debt management capacity building in dozens of low-income countries through efforts such as the multi-donor Debt Management Facility. Ratings for debt management policies under the Country Policies and Institutional Assessment (CPIA, which is one factor affecting IDA country allocations) have improved markedly over the last six years. Do we have an development oriented global framework? Beyond the impact on sustainability and policy at the country level is the broader question whether large multilateral debt relief initiatives are an efficient tool to promote broad development goals. Put differently, the question can be framed, if we were to find ourselves again in circumstances of widespread / global debt unsustainability, would we follow the HIPC/MDRI approach? While answering this question in depth would require a major evaluation effort to identify the broad impact of the debt relief initiatives (as well as the “counter-factual” of what might have happened if there had been no comprehensive program), there are nevertheless a few preliminary observations that can be made. First, the initiatives did have a strongly positive effect on the collective action problem by “crowding in” a broad range of creditors. While creditor participation has been voluntary, the emphasis on inclusivity has undoubtedly helped motivate participation by a broader creditor group, resulting in more substantial total debt relief. But achieving such broader buy in has not been without costs: any participant (or informed observer) would characterize it as a long, cumbersome, difficult and idiosyncratic process. Establishing eligibility through a set quantitative indicators also allowed frame the scope (and potential costs) of the initiative in ways that were helpful both to creditor and debtor countries, but also created some “threshold” effects, as countries near the cutoffs faced uncertainty over eligibility and moral hazard incentives. Second, the impact on overall resource availability to support development efforts, in both HIPC participants and elsewhere, remains unclear. The critical question is whether HIPC/MDRI initiatives mobilized additional resources, or instead resulted in a reallocation of available funds. Data on ODA flows produced by the OECD DAC do show various “spikes” attributable to the provision of debt relief (both through HIPC and others), but these may not in fact represent “new resources” – if relief recipients were not in fact servicing their debts, then the decision by creditors to cancel those debts does not in fact generate new resources. In the case of MDRI, where multilaterals (4) undertook to cancel their outstanding debts for countries reaching the HIPC initiative completion point, the replacement of the reflows to those institutions by donors inevitably came at the expense of “new money” in at least some instances. Third, the impact on development outcomes is limited but on balance positive. Beyond the increase in poverty-reducing spending that has already been noted, there is some additional empirical work that points to stronger performance by post-HIPCs across a range of social and economic indicators, but the results are by no means definitive. Finally, on the underlying policy framework, there has been some tangible progress. The Debt Sustainability Framework developed in conjunction with debt relief efforts has emerged as a sensible and adaptive framework that can help countries address the debt sustainability challenge. 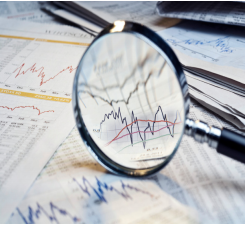 Since 2005, more than 370 debt sustainability analyses have been produced for 73 different IDA-only countries using a framework that has been refined to include concerns over the impact of increased borrowing in local currency markets and the role of contingent liabilities. More broadly, there have been greater efforts by low-income countries to focus on macro fundamentals, including the link between fiscal and debt sustainability and the importance of maintaining or expanding policy “buffers” that made these countries more resilient in the face of the recent global economic crisis. 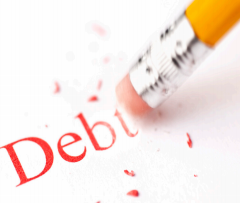 Returning to the underlying question – does anything change after debt relief? – I believe the available evidence supports a positive answer. 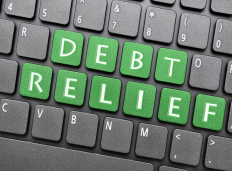 Sizable debt relief has been provided (the primary objective), and it appears that overall, this improvement is being sustained. While providing debt relief does not guarantee sustainability, it also appears that policy environments have improved, debt management capacity and practices have been strengthened, and resources available to support development have grown. Much indeed has changed, for the better. Jeffrey D. Lewis is Director of the Economic Policy and Debt Department at the World Bank. The views expressed here are those of the author and do not necessarily reflect those of the World Bank or its members. 1. HIPC — the Heavily Indebted Poor Countries Initiative — was launched in 1996 to ensure deep, broad and fast debt relief and thereby contribute toward growth, poverty reduction, and debt sustainability in the HIPC countries. 2. MDRI — the Multilateral Debt Relief Initiative — was launched in 2006 to provide additional support to HIPCs to reach the Millennium Development Goals. 4. MDRI relief is provided by International Development Association (IDA), International Monetary Fund (IMF), African Development Fund (AfDB) and Inter American Development Bank (IaDB).